or, can we convert one to the other? 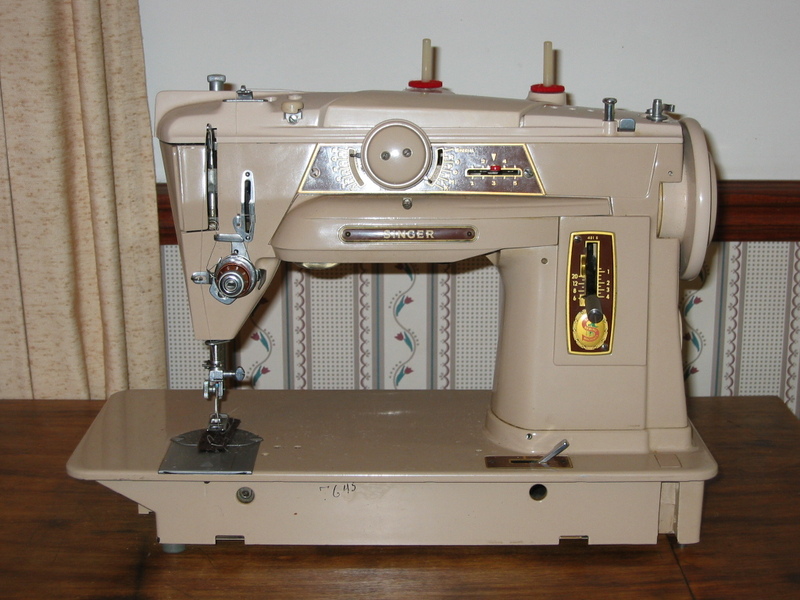 I've observed a lot of interest in people wanting to convert newer sewing machines to 'People Power.' This usually means either converting the machine over to a handcrank, or to treadle power. 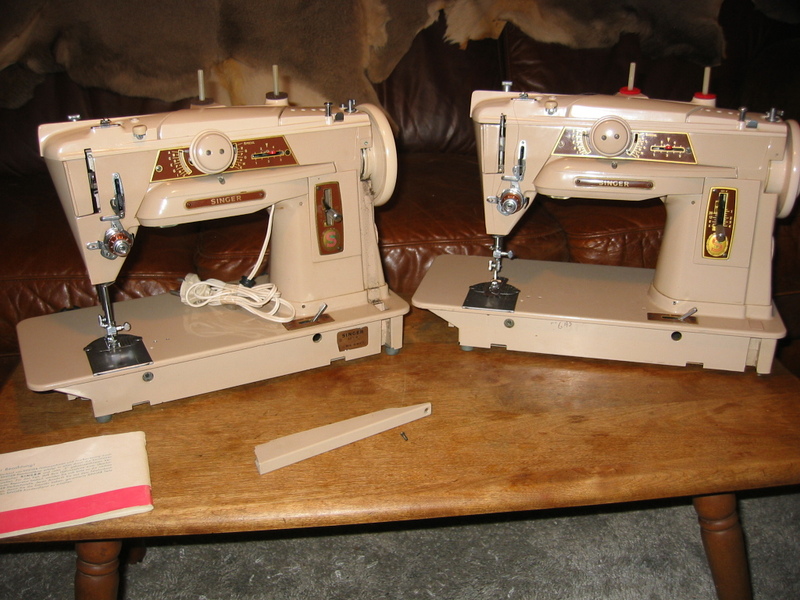 Since I am fortunate to have both a 401G electric machine and a 401G treadle machine, I thought I'd highlight the differences between the two. In the photograph above, I've placed both machines side by side. I have already taken the treadle belt guard off of the treadle machine on the left. This is a closeup of the electric machine. Note the small screw hole in the body just next to the handwheel. This is where the treadle belt guard would attach. 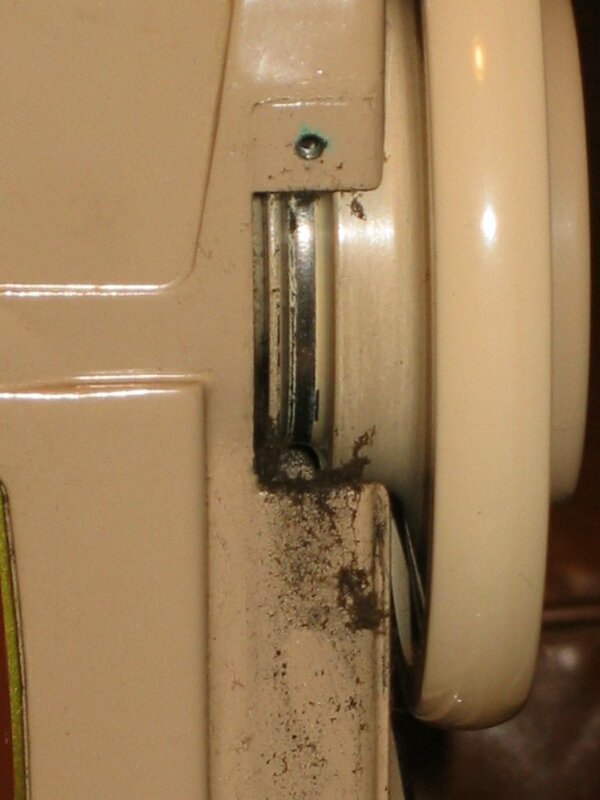 Also note the plugged rectangular hole on the base of the machine. After removing this plug, this is where the treadle belt would pass. It should be noted that almost all of the German made 400 series have these features. Only the freearm 421G and 431G do not. The US made machines definately do NOT have these. Therefore, if someone is interested in converting a 400 series machine for treadle operation, it would HAVE to be a German made machine. 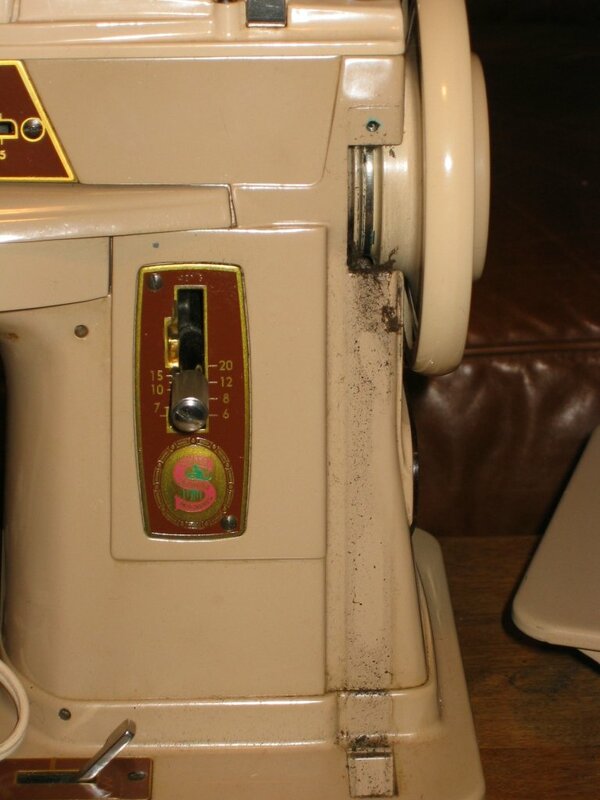 This is a close up of the treadle machine. Please note the dirt and grime left over from the old treadle belt. This machine was in a working treadle cabinet when I bought it, but I asked the seller to remove the machine from the cabinet. I really did not want to pay the shipping costs to ship the cabinet from Germany to the United States. Also note the groove in the handwheel, where the treadle belt would go. Here'a an even closer picture. 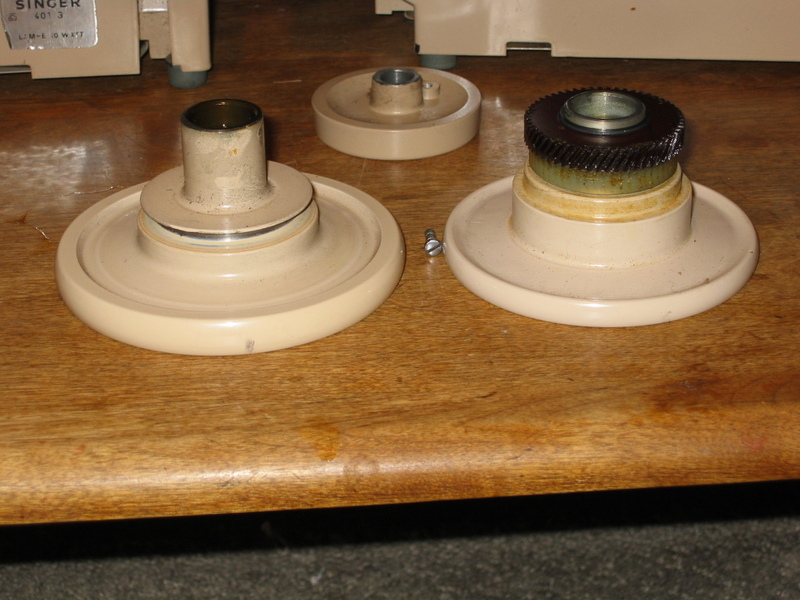 Here, I've removed the clutch wheel and the handwheel from both machines. 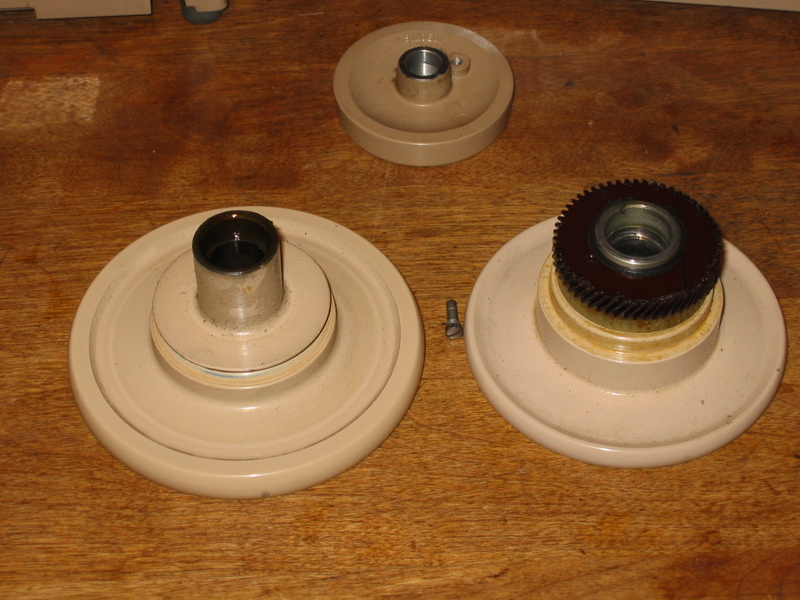 The clutch wheel are both the same, even having the same Singer part number on them. But, when we lay the two handwheels down, a difference becomes obvious. 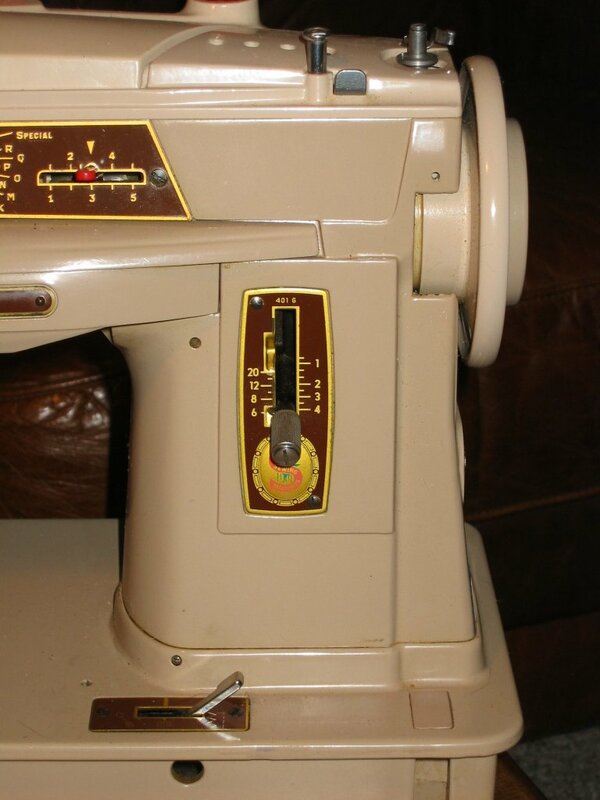 Since there is no motor in the treadle machine, there is no need for the gear present in the electric machine. 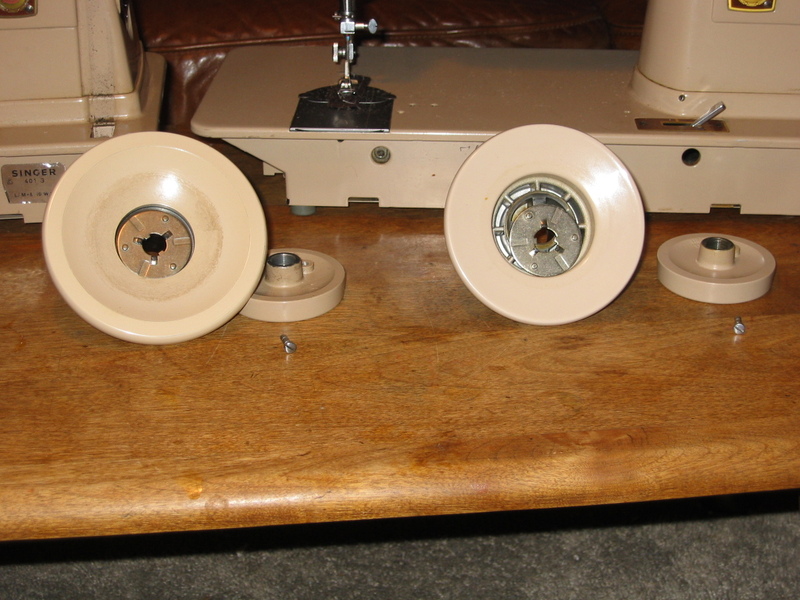 The handwheel is also thicker, and has that groove for the treadle belt.